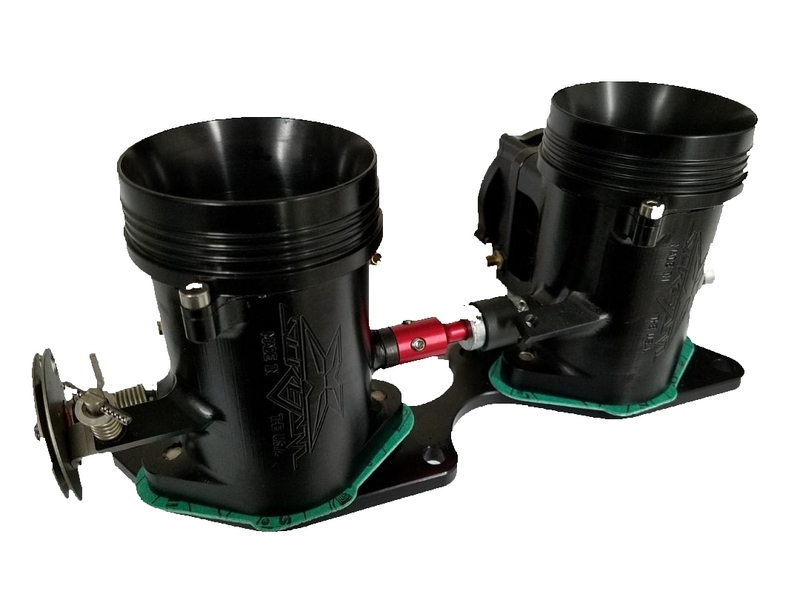 The legendary XS 1000 billet power valve 7 port cylinder delivers extreme power with unmatched reliability for the enthusiast that demands the best. This top end requires a +10mm Yamaha Stroker Crank. We provide tuning recommendations and support to ensure complete satisfaction with our top end long after delivery. Lower profile means they clear Factory B pipe without modification to the head pipe. 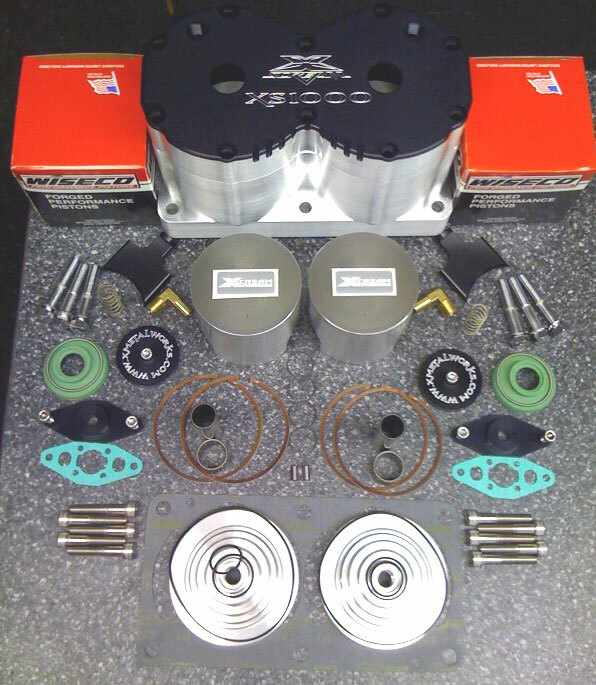 - We highly recommend our 62T case modifications to extract maximum power from this top end kit. Modifications include XScream epoxy and finger port work, reinforcing front seal area with epoxy, installing a second pulse line fitting, CNC work to match the top case to larger transfer ports on our billet power valve cylinder, installation of "Disaster" plate and boring the cases to accept a stroker crank. - Custom engraving and colors available, contact us for more information.